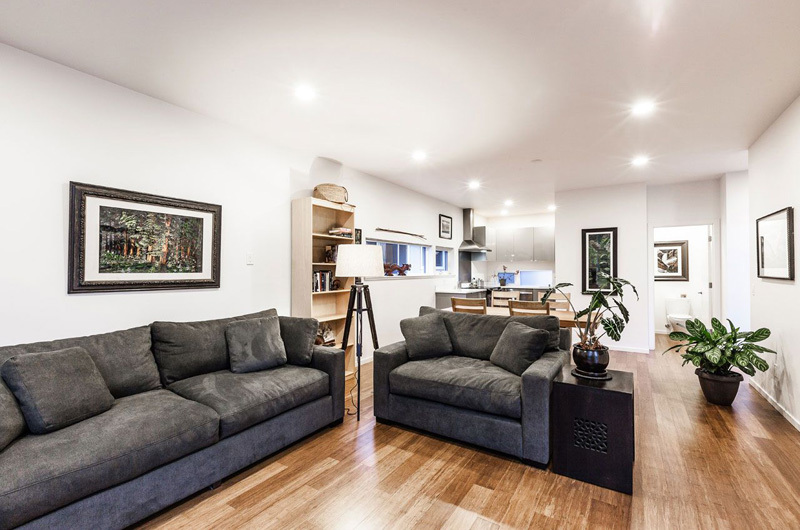 A modern townhouse offering a modern lifestyle and interior in a busy city. What will you choose to stay in a condo or in a townhouse? What is the difference between the condo and the townhouse? 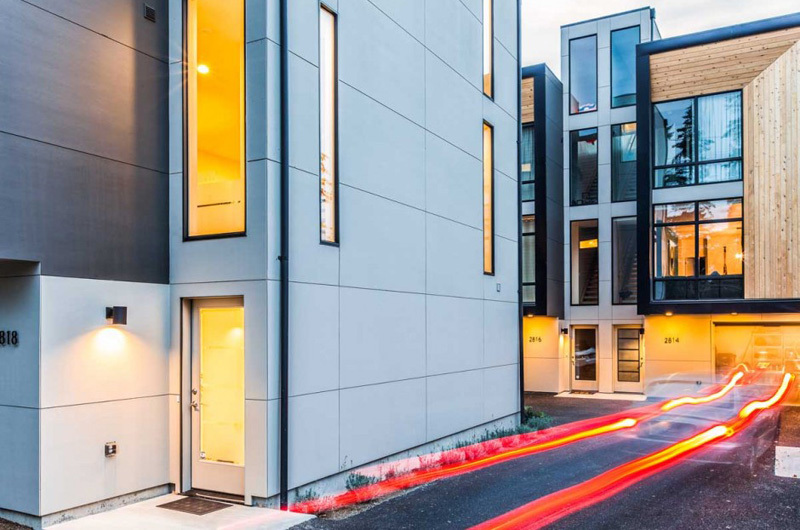 We have several reasons why we choose townhomes while others may choose condominiums. Indeed finding and choosing a comfortable yet affordable home is very challenging. We should always consider some good ideas on how to look at homes of different sizes in different locations with different types as well. Some homeowners consider owning a condo unit or a unit in townhomes. 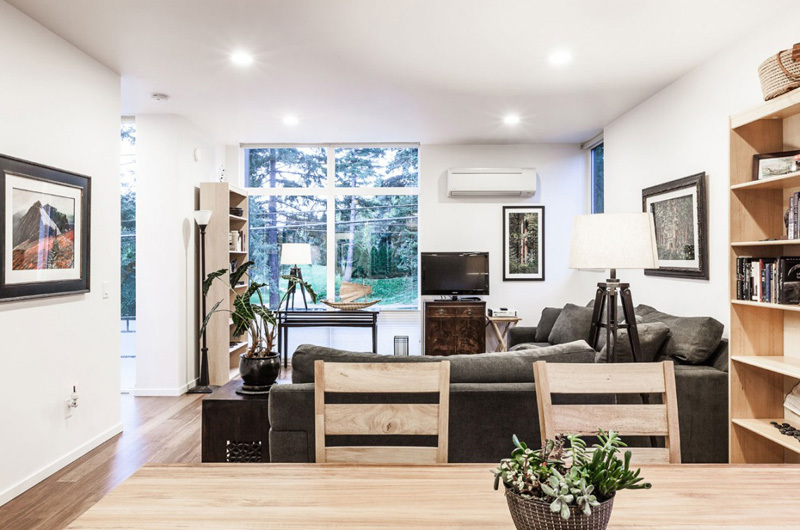 Well a condo is a type of housing wherein a very specific part of a larger property and it is almost always an apartment within a complex which is also a privately owned by the homeowner and all the other connecting areas of the complex are communally owned by all condo residents. Unique feature: This house uniquely utilized the white palette in the interiors that speaks of cleanliness and charm. The owner may feel at peace and notice the elegance and classy look of every details of the house. Geometrical forms of the house building are highly observed here. The lighting system utilized in the interior highlighted the comfort and relaxing stay in every part of the house. Different dimensions are carefully shown in the house through its walls, lines, patterns and lights employ in the interiors. 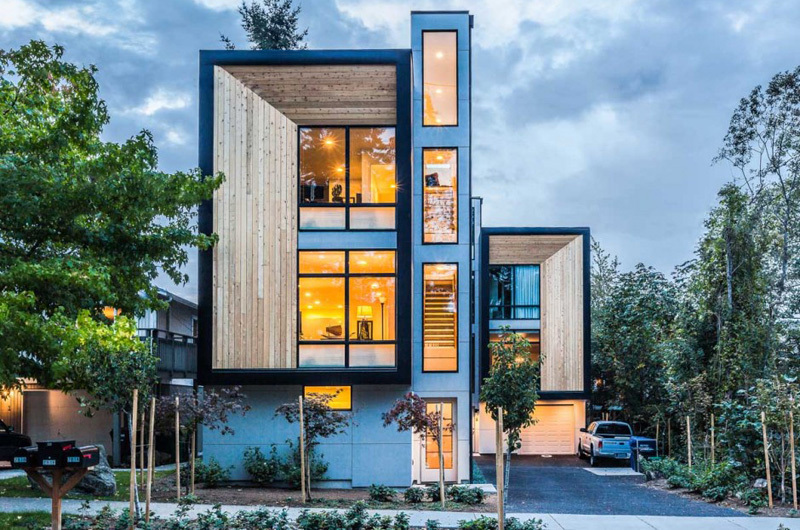 Tall trees surrounded the building also enhance the look of the exterior spaces. Contrasted textures are found from the wooden, glass and concrete materials utilized to make this house comfortable and exceptional. We can see lines and incredible textures in the house building even in the ground floor and the exterior. The lighting system emphasized its important role in making this house unique and beautiful. 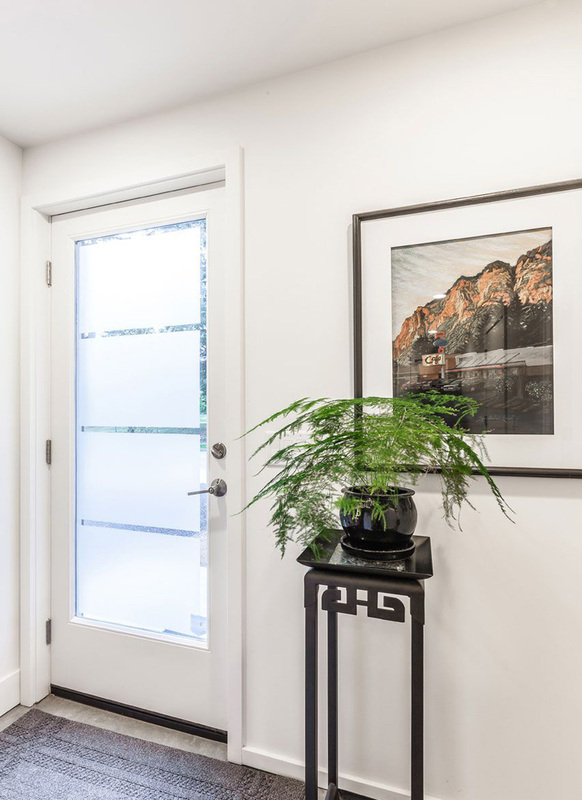 White palette employ in the entrance spaces not only presented the neatness of the area but also complements with the accessories and wall decors here. Soft and warm colors of the sofa harmonized with wooden floors and white ceilings and walls in the living space. We can say that the designer successfully utilized the modern furniture to stress the modern concept of this house. 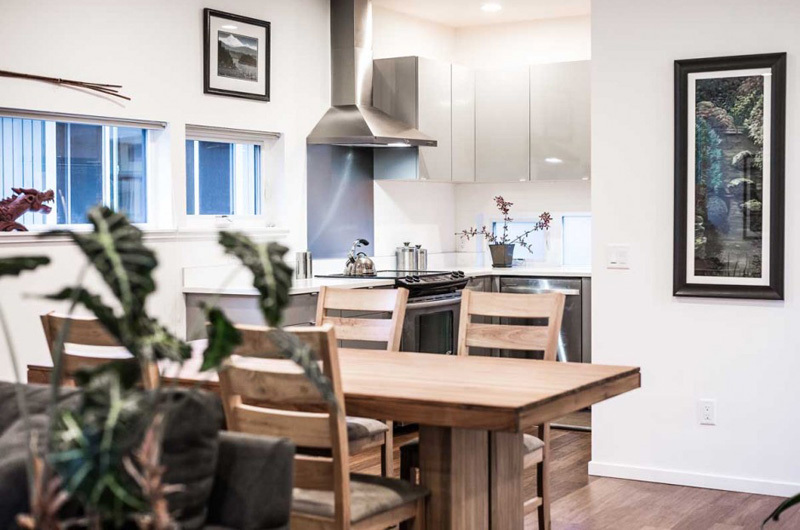 Take a look at how the designer carefully designates each furniture and accessories in the living-dining space to make this space comfortable and neat. Wooden dining table and chairs blended well with the plants placed in every corner of the house. The silvers in the kitchen also adds attraction in the interior. See how the wooden patterns in the floors complements with the patterns and texture seen from the dining set and cabinets in the living and dining space. 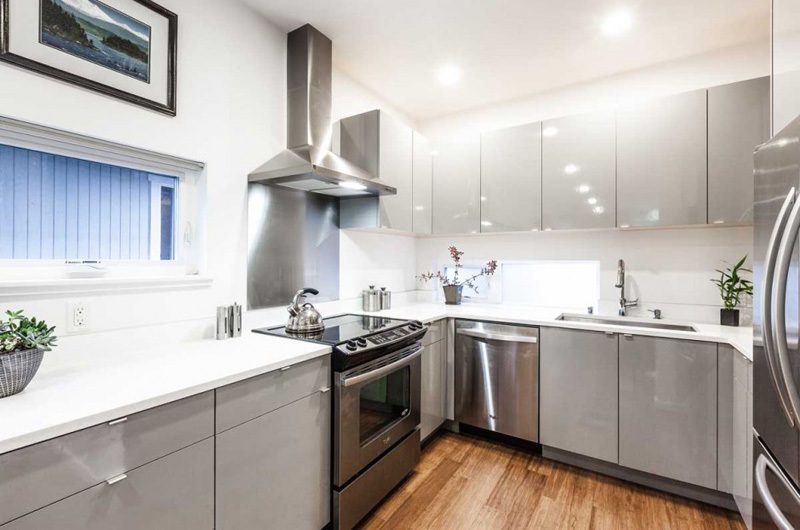 Grey and white palette applied in the kitchen space perfectly jives with the silver materials of the appliances that made this kitchen more trendy and stylish. See how this wooden staircase maintains the patterns and dimensions that seen from its lines and textures. 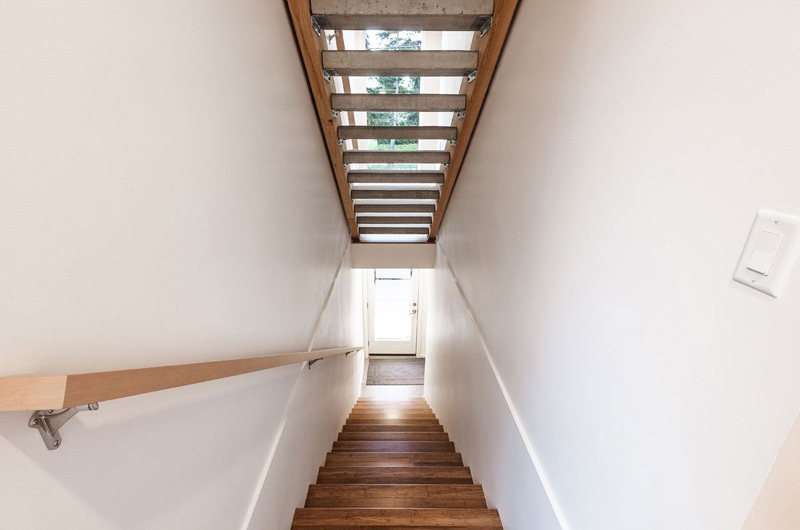 Did you notice the remarkable effect of the lines and texture in the staircase? 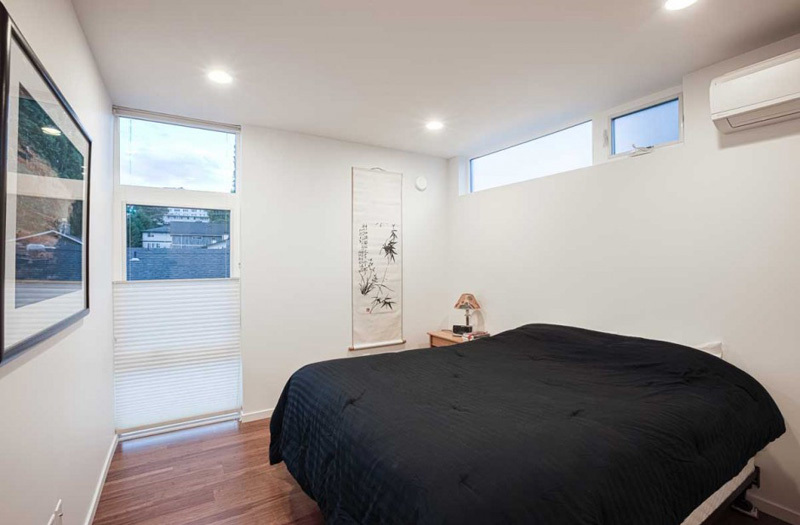 The black bed sheets stand out in the middle of this white walls and ceilings. 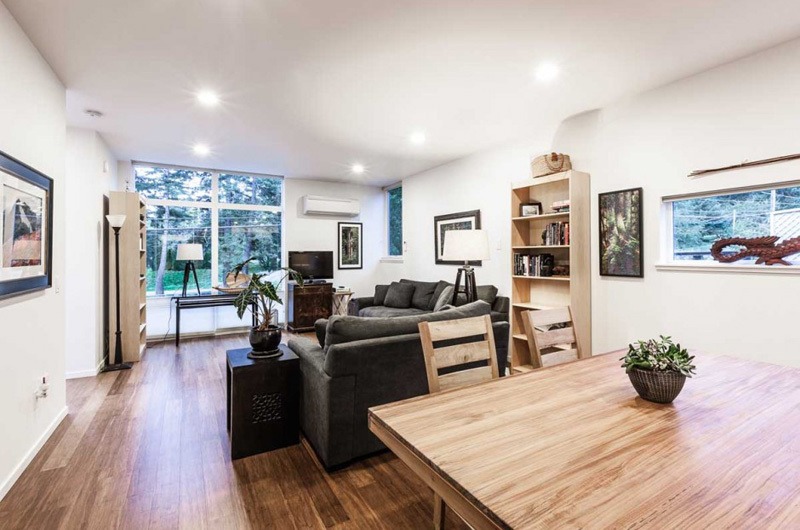 The paintings and wall arts are effective to ensure the connection of the nature to the interior. 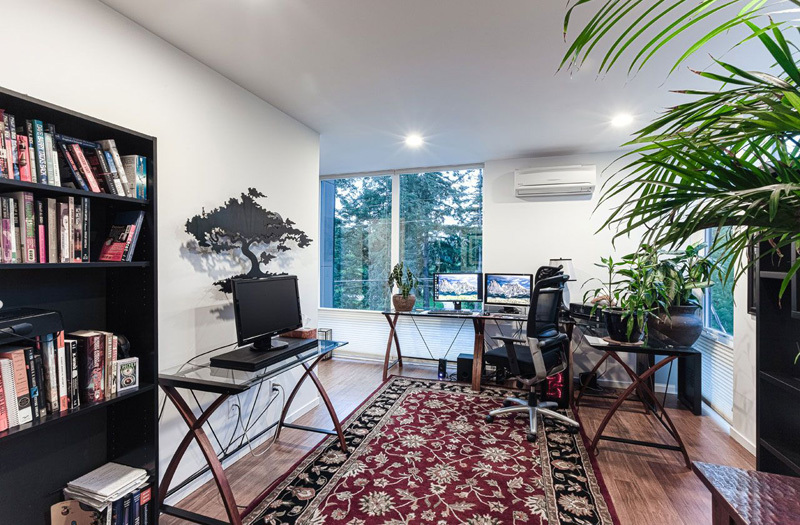 Here is the office space in the house where the computer gadgets and books are installed systematically. The plants in the corners of this room also improves the space that may add comfort and uniqueness. 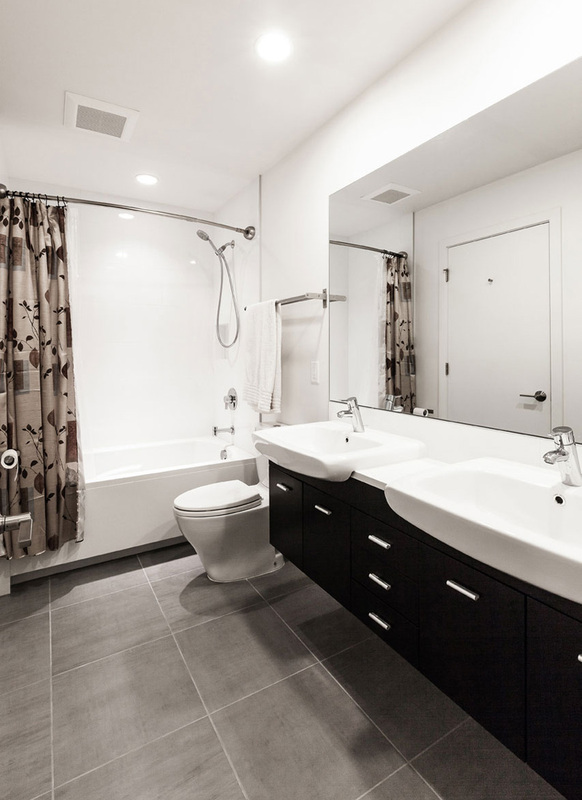 Classy bathroom is accessible here with the white and black themed palette applied here. The huge mirror in the powder space underlines its comfort and elegance as well. 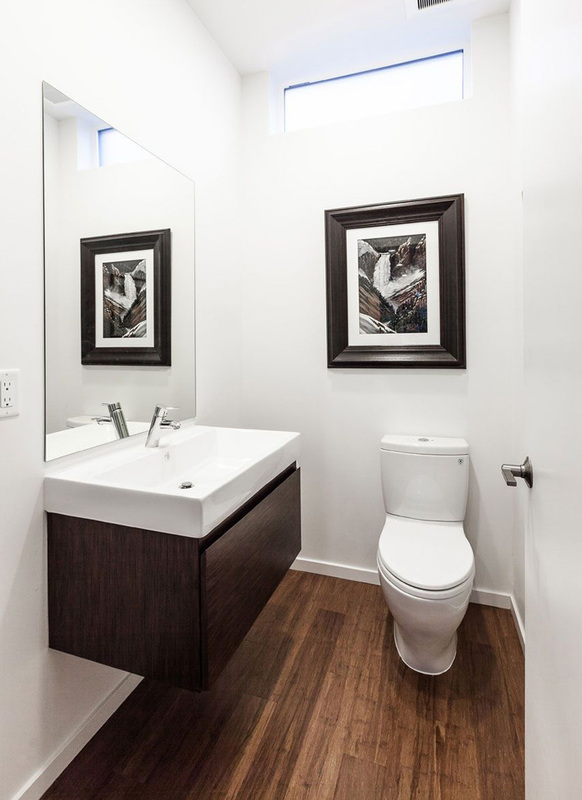 The place in this toilet may be limited but the use of white palette in the walls and ceilings made this area spacious and neat. A black fireplace also sits in the bedroom as a source of warmth while resting and sleeping. It is also a lovely contrast with the white bedding set, white drapes and white lounge chair. I can tell that this is such a relaxing bedroom and very conducive for sleeping or even for playtime! The sheets it used for the bed looks very comfortable! 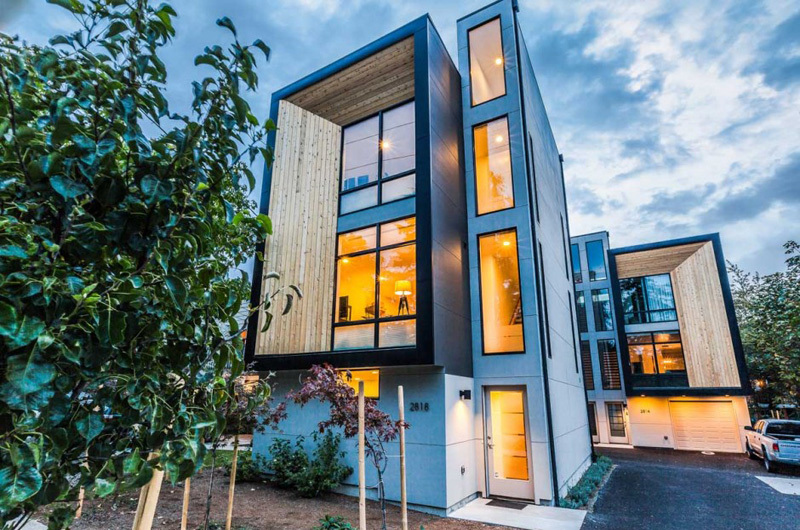 This townhomes definitely display a very comfortable and elegant design and style. The Elemental Architecture certainly employ the different elements in order to produce this kind of home design and concept. The extraordinary features reveals in the different parts of the interior may surely attracts the clients and its guests as well. 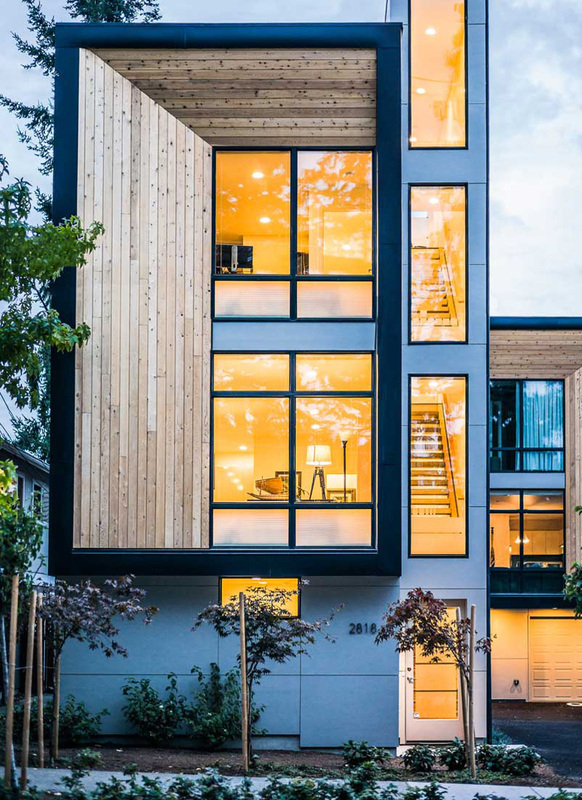 As we have seen the remarkable areas shown in the townhomes above, we can say that the designer was successfully achieved the ideas and styles they are trying to unveil in this house. 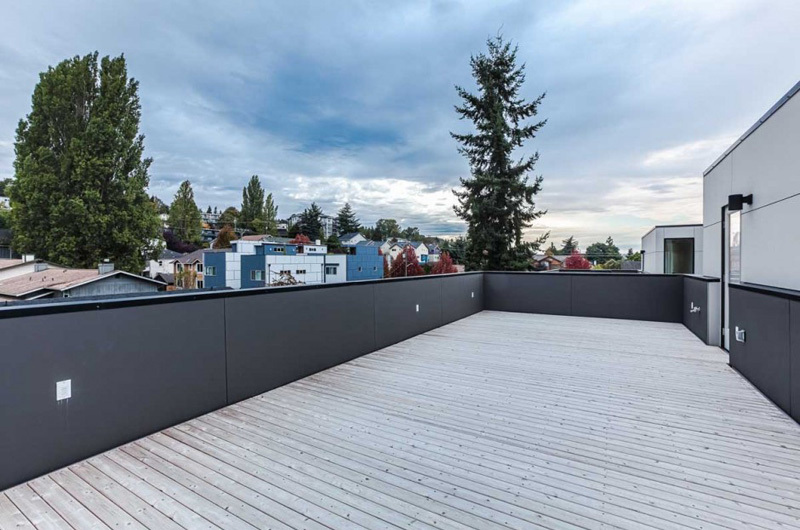 They also proved that even in the townhomes the client may still feel comfortable and relaxed. The strong connection between the interior and exterior is also maintained here. Now have you decided to consider staying in townhomes?